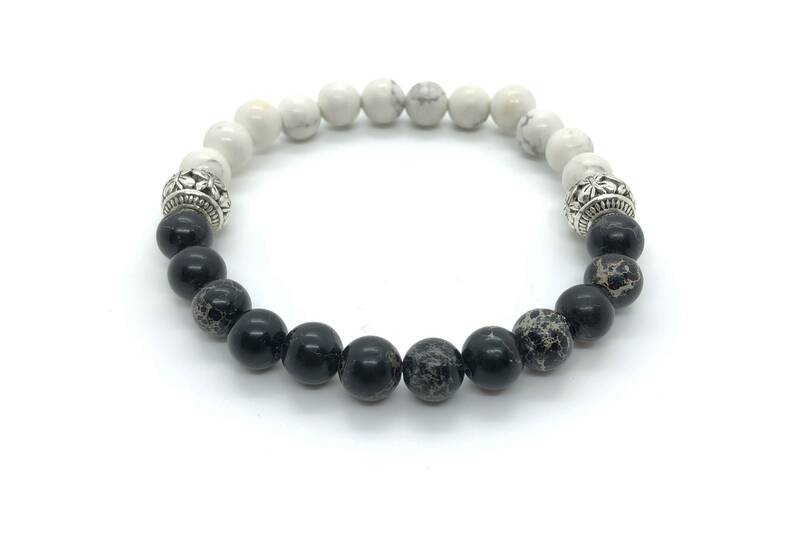 Bracelet "XANNA STONE MEN (19)"
Men's bracelet with white howlite beads and Black Imperial jasper (8 mm) with silver bead. The term Jasper comes from the Orient and in antiquity was synonymous with quartz, in ancient Egypt were used as Tallandolos amulets in the form of a beetle, and in the Middle Ages was considered the stone of the victors, who embedded in their swords, as was the CAs Or Sigifrido who wore a jasper on the hilt of Balmung. The Howlite, also called Khaulita or Silicoborocalcita. It was discovered in 1868 in Nova Scotia (Canada), being named in honor of Henry How, chemist, geologist and Canadian mineralogist who was the first to describe the new mineral species. The Howlite is an extremely relaxing stone, it is an excellent antidote against insomnia. 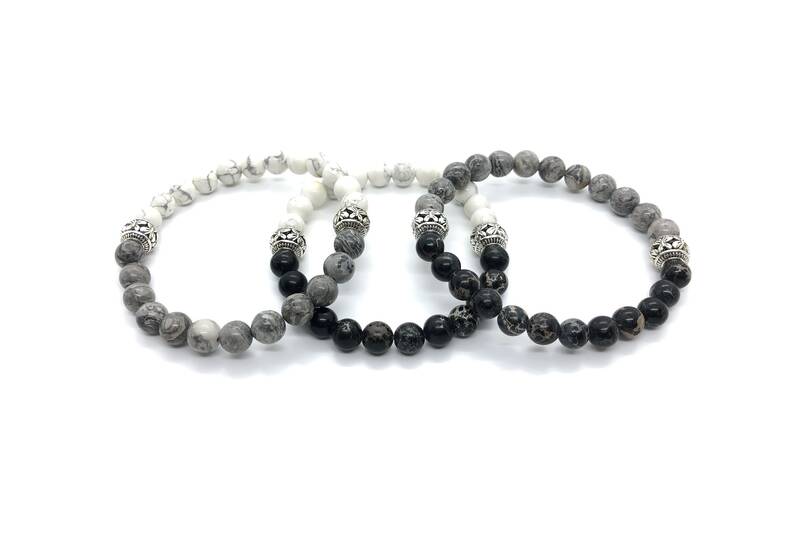 Howlite formulates both spiritual and material ambitions and helps to achieve them. Teaches patience, and helps eliminate anger and uncontrolled anger, is excellent for meditation.